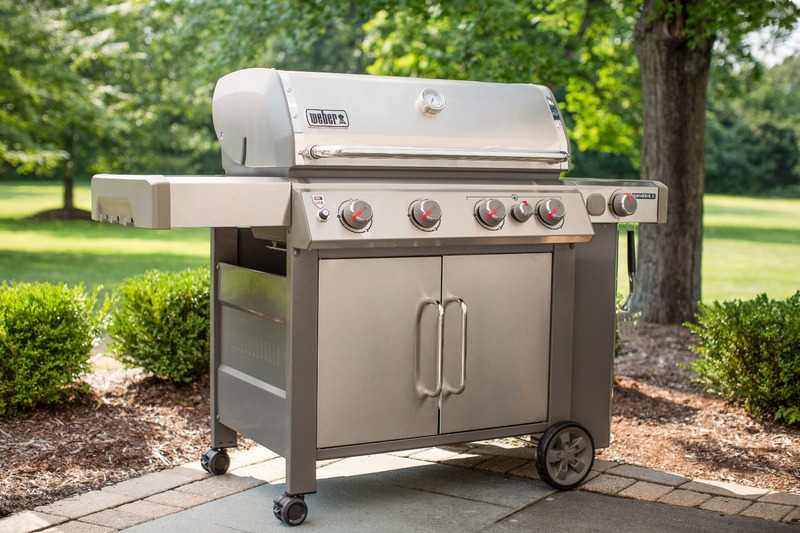 The Weber Genesis® II S-435 Gas Grill features a sear station, a powerful grilling engine, solid stainless steel rod cooking grates, a tuck-away warming rack, stainless steel side tables, tool hooks, and a side burner. Total Cooking Area: 844 sq. ft. The four burners feature 48,000 BTU-per-hour input, and deliver a consistent gas flow from front to back, ensuring that your food grills evenly wherever you place them on the cooking grates.